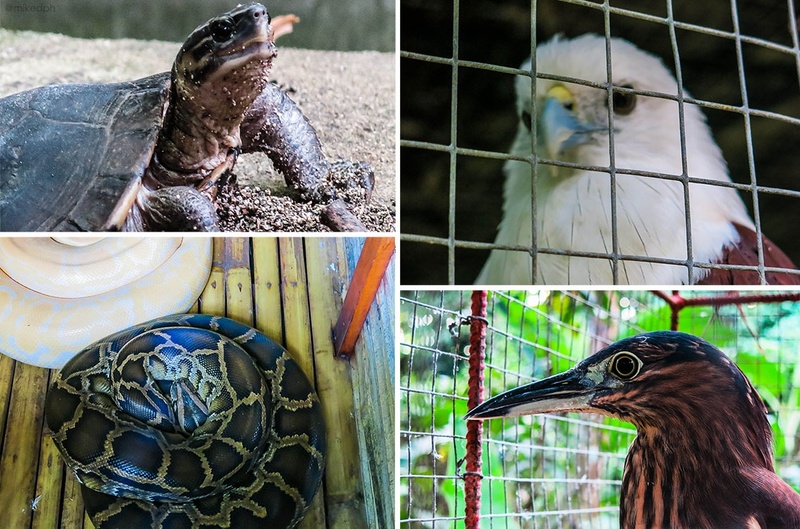 Home bohol Experience Bohol: Countryside Tour! So many places and a lot of stuff to see. That's what you can expect from the countryside tour. 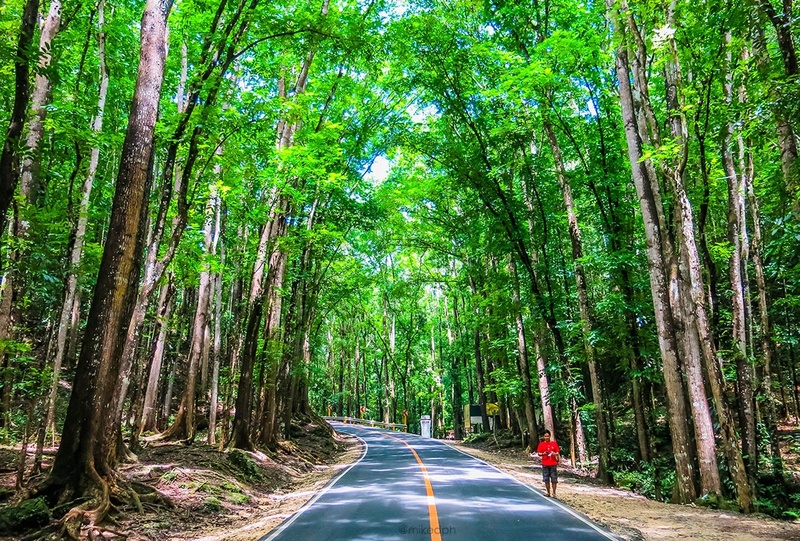 A one day tour around Bohol will surely make you get to know its beauty. Let me show you the wonderful sights and amazing places included in the tour. First on the tour is the nocturnal little primates, the Tarsiers. 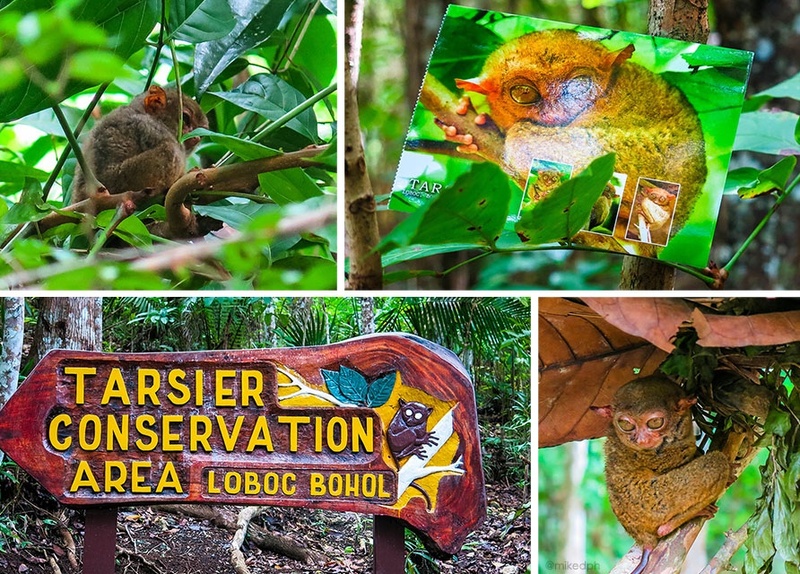 Found in the town of Loboc, the Tarsier Conservation Area is a sanctuary that gives the tarsiers a natural habitat. You can see my Tarsier Conservation Area post here! 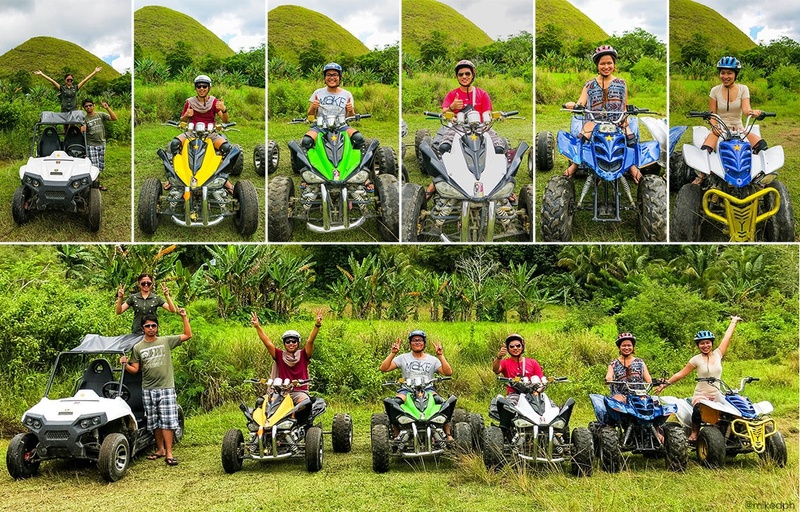 Before going to the viewing area of the Chocolate Hills, you can take a side trip to the hills by riding an ATV. Entrance fees and ATV rentals are separate for this tour. You can see my ATV Ride post here! After some ATV action (if you did), time to get a better view of the famous Chocolate Hills in Carmen. This is around 24 KM from the Tarsier Conservation Area in Loboc. More than a thousand brownish hills before your eyes, it is truly breathtaking. You can see my Chocolate Hills View Deck post here! Next stop is the Man-made Forest found along the border of the towns Loboc and Bilar. You will pass this highway when going to the Chocolate Hills Complex. 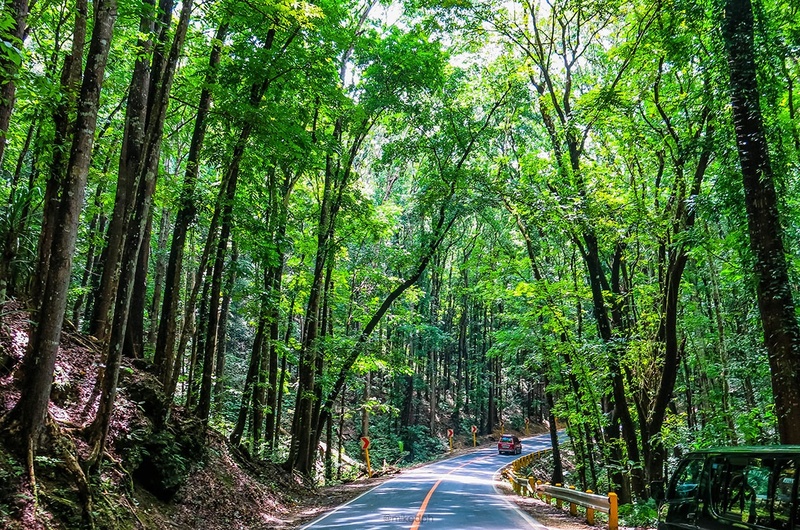 This 2 kilometer highway is covered by the red and white mahogany trees, which is perfect for some picture taking, just be careful since it's along the highway. 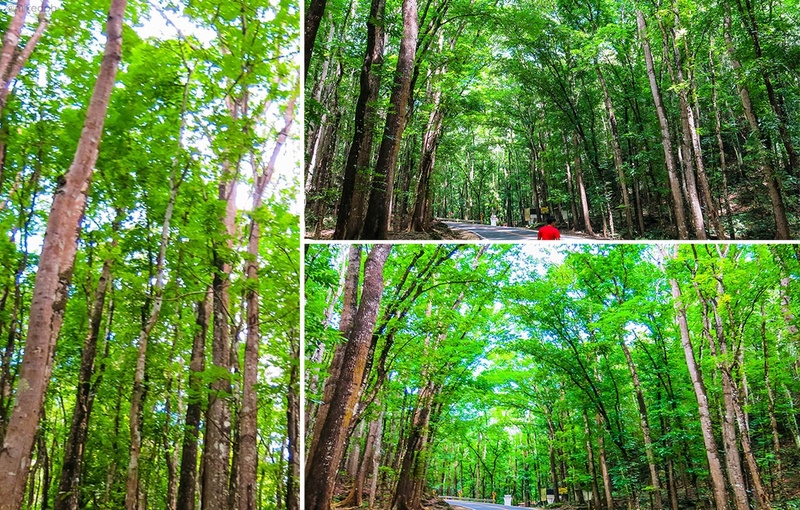 The man-made forest was a part of the reforestation project for the Loboc watershed because of the "kaingin". 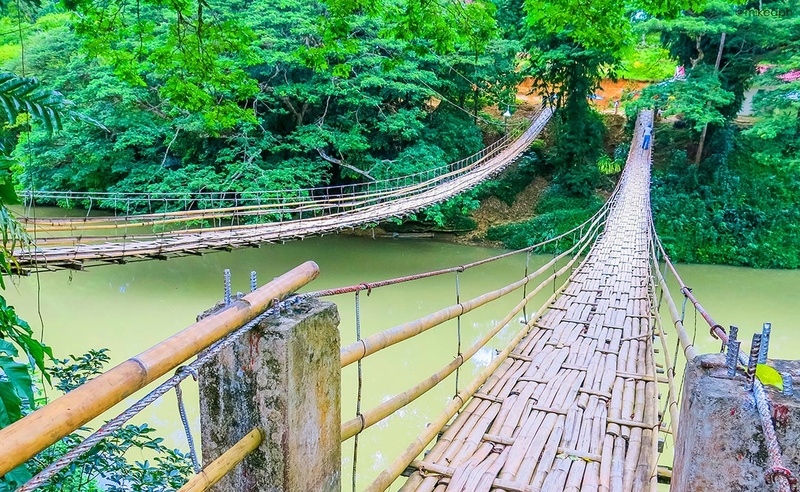 36 KM to the east of Tagbilaran, and around 12 KM from Bilar Man-made Forest, is the Bamboo Hanging Bridge in Sevilla. 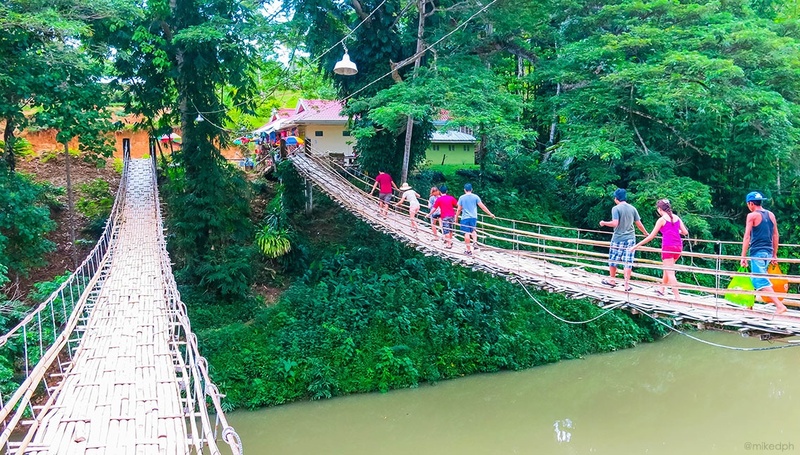 The bridge connects 2 barangays that is separated by the Sipatan River, which connects to the Loboc River. The bridge is 20 - 25 meters high above and spans 40 meters long of woven bamboo slats with steel cable wires as hand rails so its basically safe. There is a toll fee of PhP 20.00 to cross the 2 bridge. There are two bridge parallel to each other. 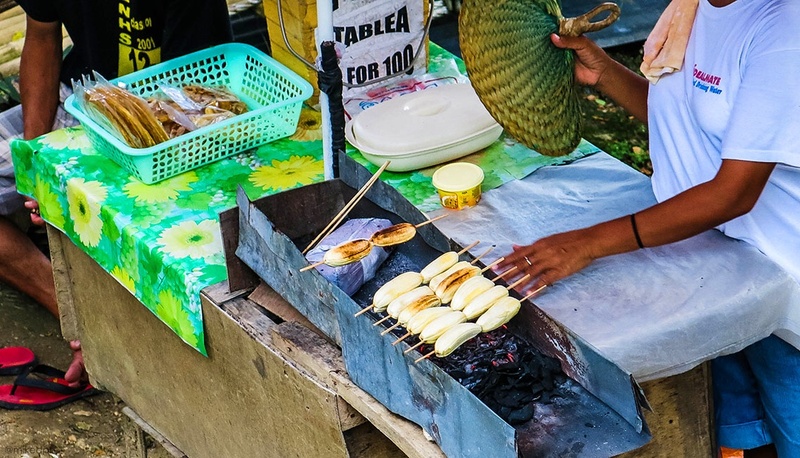 Around the bridge are some food stalls, where you can buy a grilled banana with sprinkled sugar (better than banana cue), and some coconut (buko) juice. 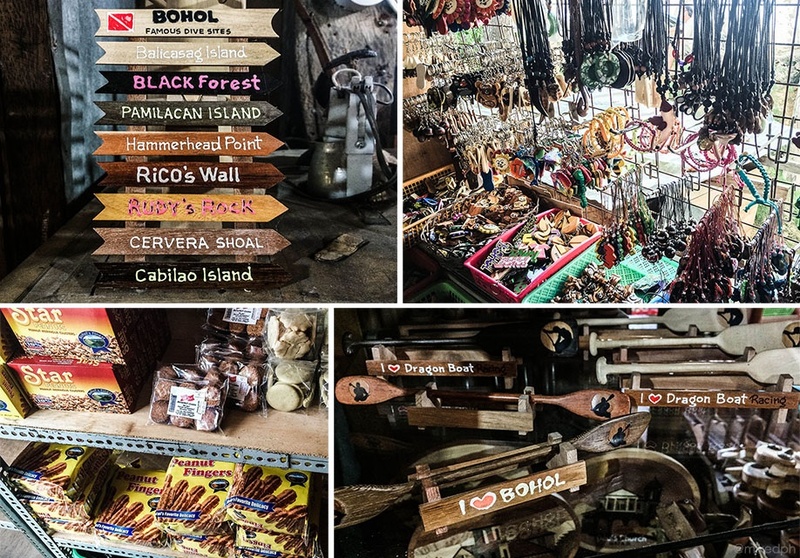 There's also a souvenir shop here, which I heard that is the most cheapest around the area (or Bohol?). Time to fill up our tummies and for some river cruising. Though the food was just okay, the tour around the river will surely be more than enough to enjoy this tour. The river cruise takes about 1 hour and has 2 stops along the river. 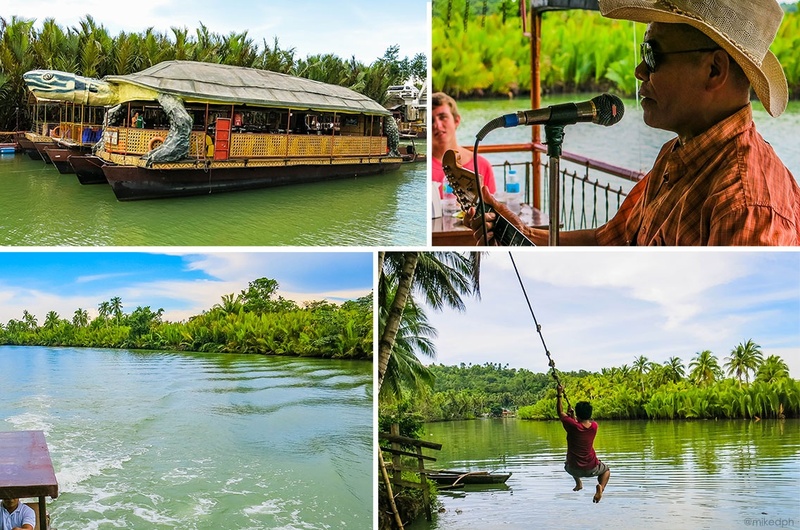 You can see my Loboc River Cruise post here! 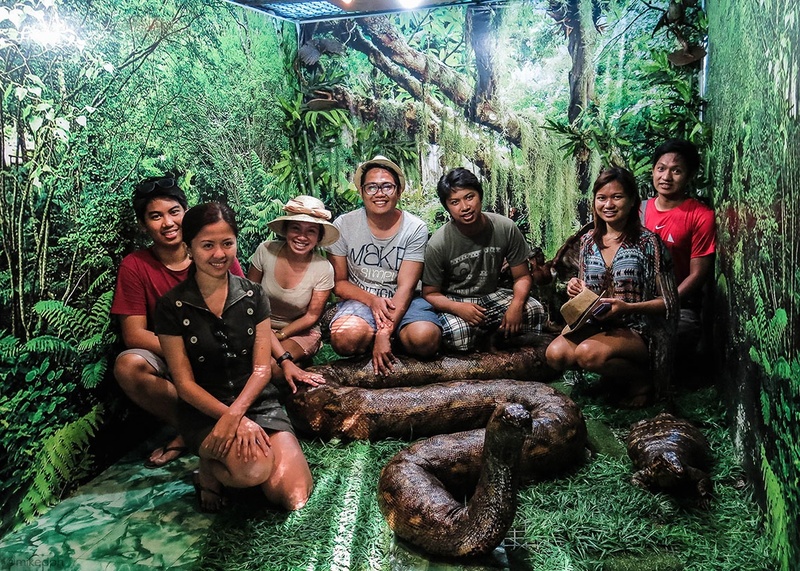 Next stop is in Baclayon, to see the remains of once the largest python in captivity, Prony. She was with the family that caught her in a cemetery at Alburquerque (not Walter White's hometown, also Albur for short) for 15 years and died on August 2013. Our tour guide told us that the Boholanos are very superstitious. 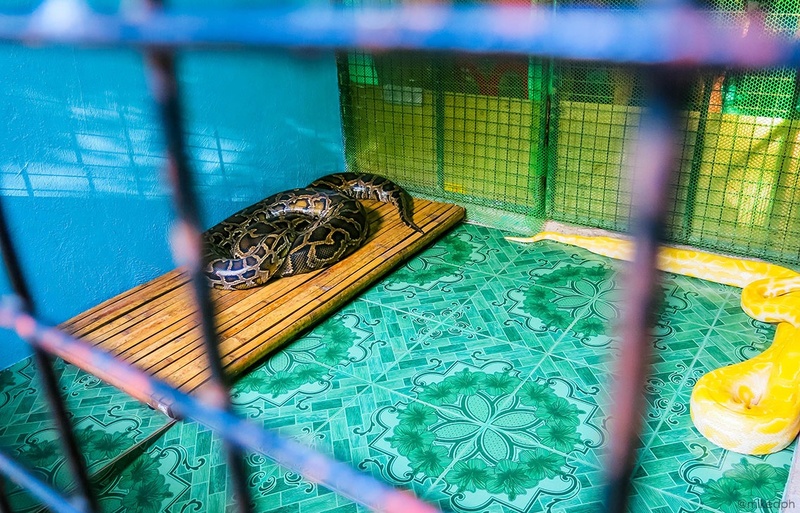 The owner believes that Prony saved his life because his sickness was transferred to Prony so the python died. 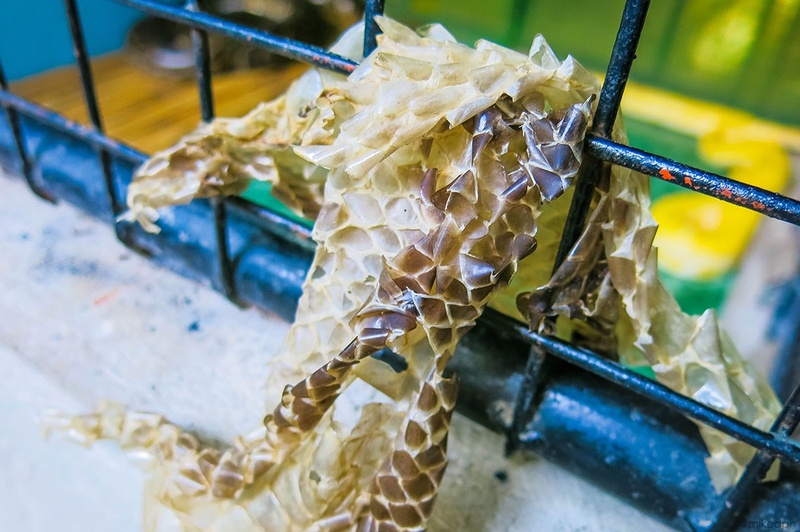 Her preserved body and bones is displayed for tourist viewing. In 2012, Prony measures 27 feet long and weighed 280 kilos. The family still has 2 pythons, which are also big. You can also see other animals in the place. 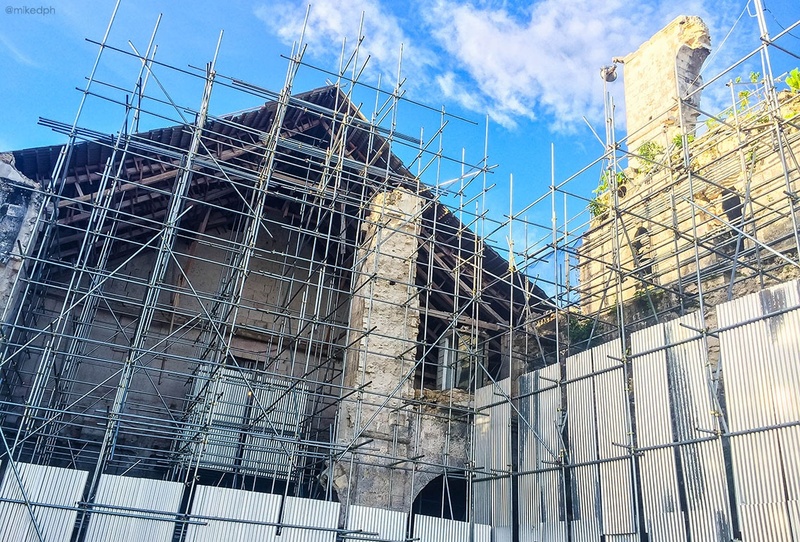 One of the oldest churches in the Philippines that stood for over 300 years was devastated by the Bohol Earthquake last October 2013. The front facade of the church and the bell fry took heavy damages. 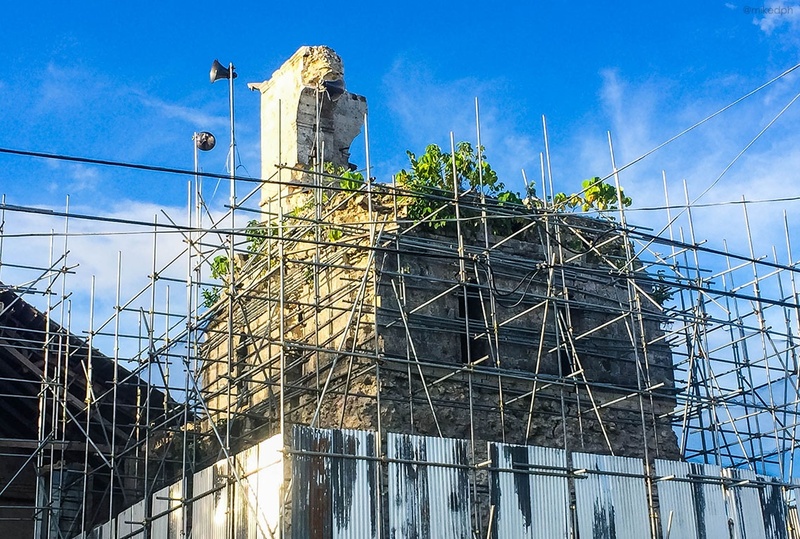 Today, they are now restoring the damage part of the church. At the side of the church is an image of Padre Pio on some of the pillars. There is also an old convent at the back that is now a museum which contains some century-old religious stuff. There's an entrance fee to the museum. Our last stop for the tour, is the shrine where the Spanish explorer Miguel López de Legazpi and Datu Sikatuna the chieftain of Bohol confirmed their friend requests (MLdL first went to the island of Cebu but got attacked by Muslim tribes opposing a foreign invasion so he went to Bohol). The monument is made from bronze with 5 people on it. I'm not sure who the 3 others are. 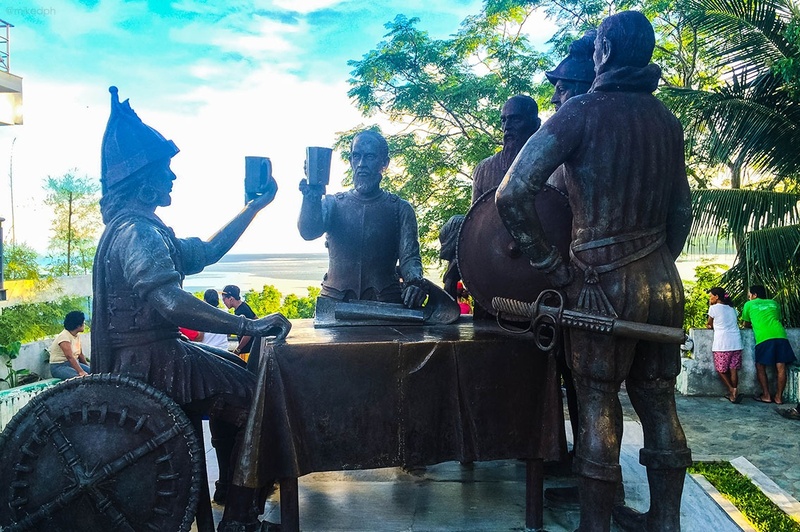 The statue was created by the Boholano sculptor and National Artist for Sculpture, Napoleon Abueva. 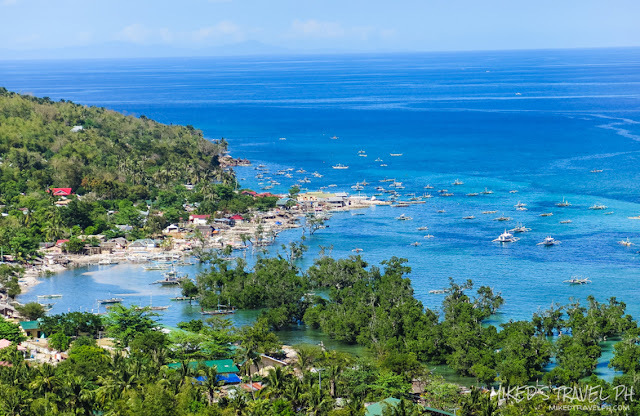 The background of the shrine is the Bohol Sea and, a hotel at the left side and a souvenir shop at the right. 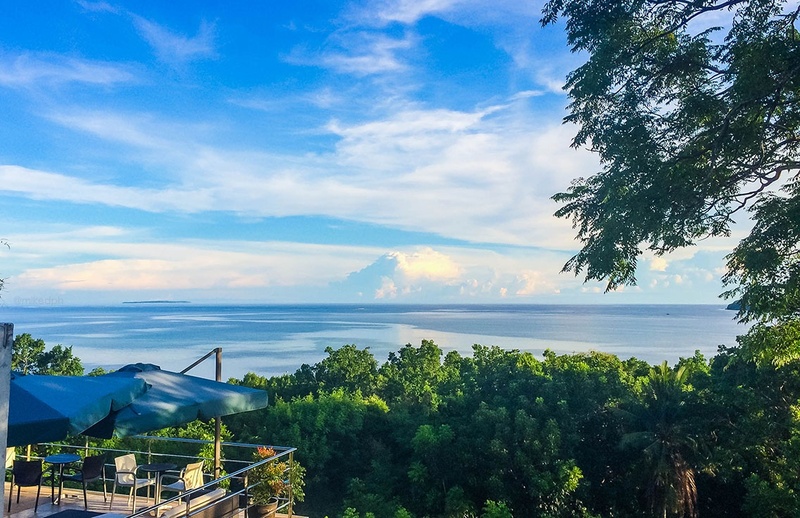 One day is not enough to fully see and experience Bohol, but one day is enough to make you be amazed and fall in love with the place. Thanks for reading! You can also check some of the contact information and rates of some tour providers in this Bohol Travel Guide. Namatay na pala si Prony... 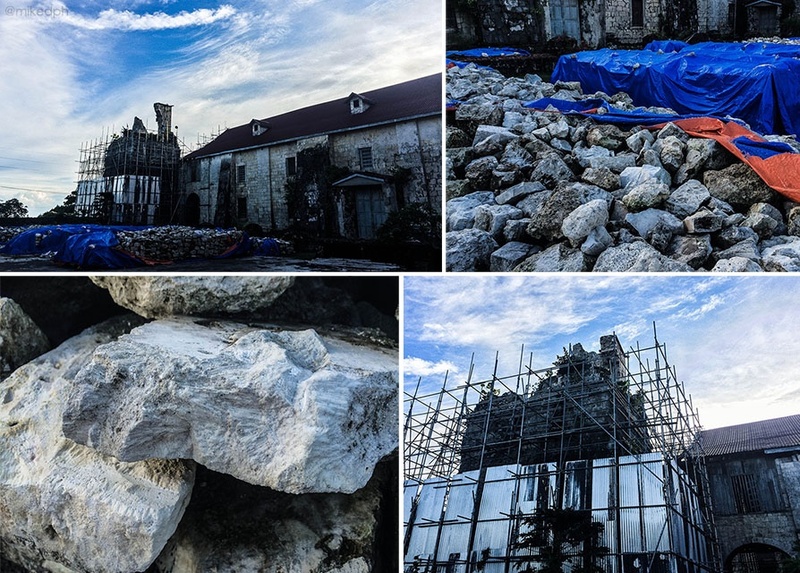 This post reminisces my 2011 travel to Bohol - Baclayon Church has an eerie feeling inside maybe because it feels so historical and old but I'm amazed by the structure that stood through the years until the earthquake last year. Hopefully they restore it soon with stronger foundation. I hope the Chocolate Hills viewdeck was also reconstructed too. And yes the Hanging Bridge at Sevilla has cheaper souvenirs than any other place in you'll visit in countryside tour. Yes, she died just a month before the earthquake. 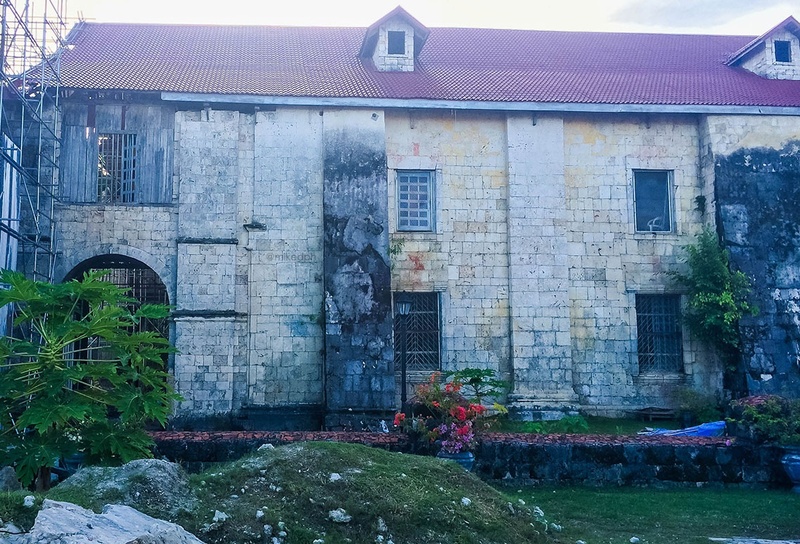 Too bad I didn't have the chance to go inside Baclayon Church and didn't see it personally the way it looked before. It's almost a year since the earthquake, so sana rin bilisan nila ang reconstruction. good to know on going construction na nag church. i can feel the pain from the boholanos when their dear church got damaged badly. 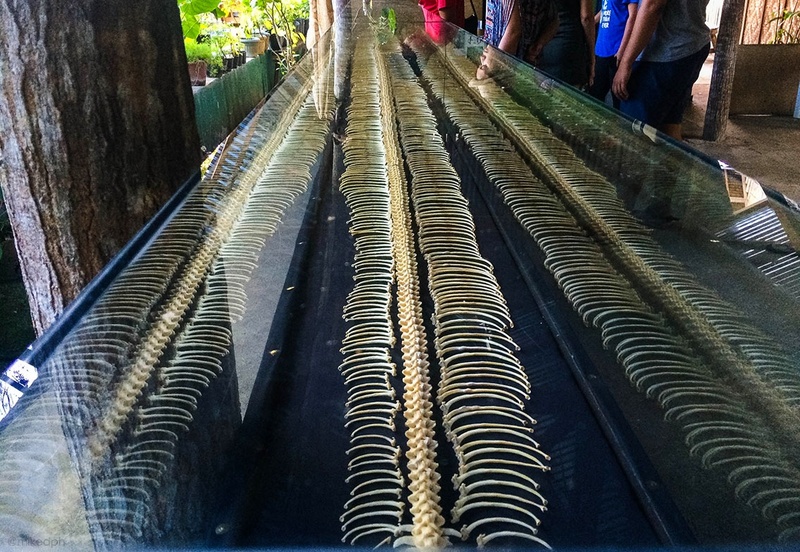 Experience Bohol: Bohol Bee Farm! 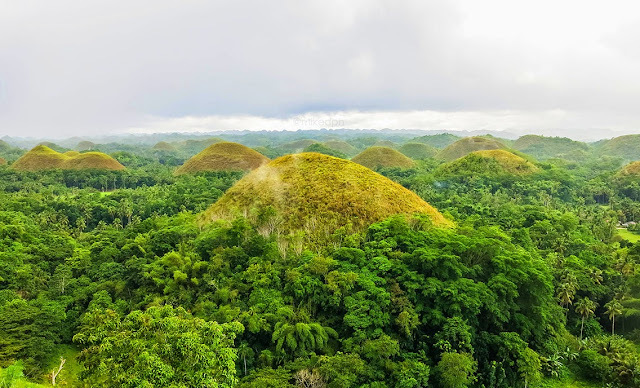 Experience Bohol: ATV Ride in Chocolate Hills!